This year is a collection of threes. I turned thirty-three and the twins turned 3 & 3 and Archer turned 3x3 and Fable will be 3+3 tomorrow (!!!!). Hal and I celebrated our 9th anniversary this year and this month marks my 9th year blogging here on GGC. I am a huge numberequalsigns person so this feels meaningful to me. It feels like, at this moment, we're all aligned in some way -- a row of triangles. 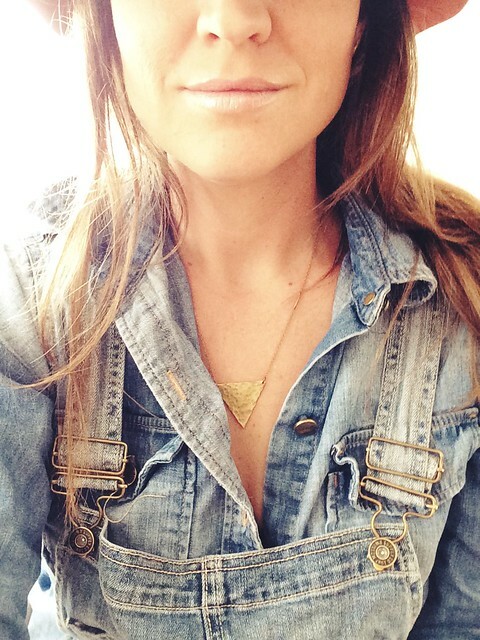 Today, I'm featuring (and giving away) one of my favorite everyday necklaces, a triangle, hand-pounded by my friend, Kelsey (who I have known for twenty years which has nothing to do with 3s, although we were THIRteen when we met which is kind of BAM). I've been wearing it these last few months, in honor of good things happening in threes as a sort of luck charm. And so. 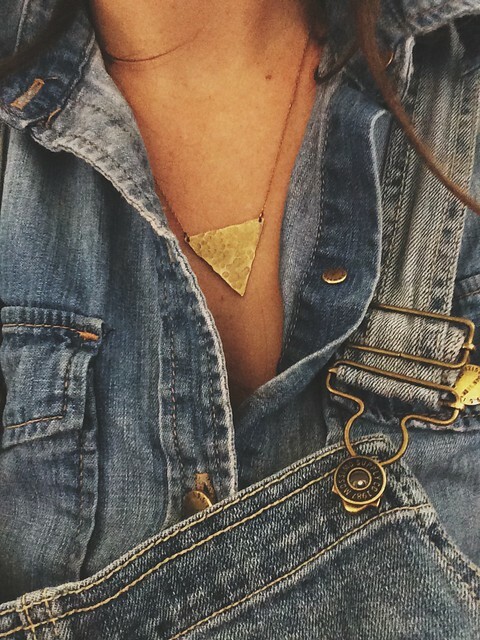 To pass the luck along, I'll be giving away a triangle necklace to three commenters. To win? Tell me three good things. (Winners to be chosen at random next Wednesday, October 8th.) And? If you want to go ahead and support an incredible artist and woman (you totally should. She has some AMAZING pieces right now) you can purchase your own piece, here. 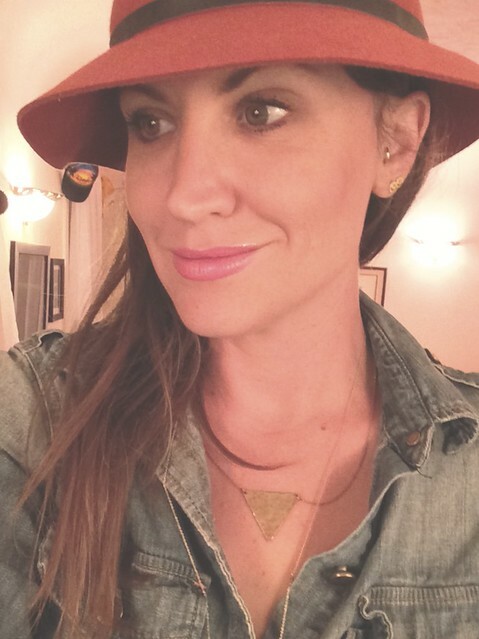 Kelsey is offering 10% off her jewels with code GGC10.